The following is a non-exhaustive set of terms commonly used in patent claim analysis. This list is not meant to be comprehensive, nor is it meant to cover all terminology for patents in general, patenting processes, or patent litigation (e.g., terms like clearance, IDS, post-grant proceedings, licensing, treble damages, etc.). Descriptions have a US-based focus and so are not necessarily applicable for other jurisdictions. Concentration is placed on those terms most used in the course of patent analysis, where this analysis always focuses on the patented claims. The list will be supplemented over time, and suggestions for additional terms are welcomed. Antecedent basis: A claim term (word or phrase) is referred to in a definite form using “the” or “said” and has been been previously introduced in the current claim or in an ancestor claim using the same term. Lack of antecedent basis can lead to claim scope being indefinite. Also, the patent specification (per 35 USC 112) needs to provide guidance on the meaning of claim terms (i.e., support or antecedent basis), although the same words need not be used therein. Anticipation: A specific type of description or event which demonstrates that a claimed invention does not meet legal novelty requirements for patenting. Anticipation is determined on a claim-by-claim basis, and a single prior art reference (e.g., a printed publication) or event (such as a sale) must disclose every claimed limitation, whether explicitly or inherently. Beauregard: A claim type that claims an article of manufacture embodied as a computer-readable medium (CRM) and associated instructions. The name originates from a Federal Circuit case In re Beauregard (1995). However, a more recent case at the Federal Circuit in 2012 (Digital-Vending Services International, LLC v. The University of Phoenix, Inc.) interpreted Beauregard claims as method claims rather than as apparatus or composition of matter claims. Further complicating scope interpretation of Beauregard claims is that the USPTO now instructs examiners to reject Beauregard claims because computer-readable media can include signals, which were found to not be patentable subject matter under 35 USC 101 in the Federal Circuit case of In re Nuijten (2007). To get around this type of invalidity, the computer-readable media should explicitly be limited to be “non-transitory”. Body: The portion of a patent claim which recites claimed elements and describes how these elements interoperate in order to form a claimed invention. The claim body follows the preamble (introduction) and the transition phrase (link). Claim construction: Interpretation and determination of the meaning of a patent claim. Construing the proper meaning of a claim is a necessary step prior to determination of potential use. Claim type/category: A category covered by a given claim. 35 USC 101 indicates the following basic categories as statutory classes: “process, machine, manufacture, or composition of matter”. A claim covering an activity (process or method) is often referred to as a “process claim”, a “method claim”, or a “use claim”. A claim covering a physical entity such as a product or apparatus (e.g., machine, article, composition, device, system, etc.) is often referred to as a “product claim” or an “apparatus claim”. My Patent Claims Tree tool attempts to determine the type/category of claim for each independent claim based on semantic analysis of language used within the claims. The claim category for a given claim determines its scope and coverage of use. Dependent claim: A claim which depends upon at least one other claim and which inherits limitations from its ancestor claims. A dependent claim provides additional specificity and claims a narrower embodiment. Direct infringement: This occurs when a party makes, uses, sells, offers to sell, or imports a patented invention in the United States during the term of the associated patent. See also “Indirect infringement” and “Divided use/infringement”. Divided use/infringement (multi-actor): Joint infringement when two or more different parties together make, use, sell, or offer to sell a solution that would be judged to infringe upon a patented claim. Doctrine of claim differentiation: A rule that every claim in a patent is presumed to have different scope from every other claim. This doctrine means that if a dependent claim of a parent claim specifically has narrower limitations, then the parent claim must necessarily be different – that is, it has a broader interpretation. As an example, for an independent claim that recites a chair with a plurality of legs, with the independent claim having an associated dependent claim requiring a chair with 4 legs, the independent claim is therefore not limited to what is recited in the dependent claim. The dependent claim in this example protects chairs with 4 legs specifically, and therefore the independent claim must logically cover chairs not only with 4 legs, but also chairs having any number of legs greater than one (i.e., a “plurality”). It would be improper to read the 4-leg limitation into the independent claim. Doctrine of equivalents: A legal rule that allows a court to hold a party liable for patent infringement even when every element of a patented claim does not literally read on a product or process. Equivalents can be determined when alterations are “insubstantial”, though there are many limitations to the doctrine of equivalents. Element: A component of the claim body indicating a part, step, structure, substance, etc. that together with the other claim elements forms the process, machine, article of manufacture, or composition of matter named in the claim preamble. Extrinsic evidence: Evidence and support from sources external to the patent itself and its associated prosecution history. Extrinsic evidence may include expert or inventor testimony/opinion, dictionaries, and the like. Normally, review of intrinsic evidence alone suffices to resolve any ambiguity in a claim term, but extrinsic evidence may in some cases inform claim construction based upon the intrinsic evidence. Independent claim: A standalone claim that does not refer to or depend upon another claim. An independent claim may have zero or more dependent claims which inherent limitations from it. An independent claim is therefore broader than all its dependent claims. Indirect infringement: Here, a party induces another party to directly infringe a patent (inducement) or the party contributes to the direct infringement of the patent by another party (contributory infringement). A party is a contributory infringer only if the party provides a component of a patented invention, and the party knew that the combination for which the component was especially designed was both patented and infringing, and the component must not be a staple article or commodity of commerce suitable for substantial non-infringing use. Interpretation: Determination of the meaning of a patent claim. Construing the proper meaning of a claim is a necessary step prior to determination of potential use. See also “Claim construction” and “Markman”. Intrinsic evidence: Evidence and support from 1) Claims, 2) Specification, 3) Prosecution History, in that priority order, for determining claim interpretation. With regard to #3, the prosecution history (aka file history, file wrapper, etc. ), this includes not only the prosecution history of the specific patent, but also the prosecution histories of all its US family members — i.e., prior related US applications, prior related CIPs, related US siblings, related US children, and related US grandchildren. Invalidity: A determination that a patent claim should not have issued due to the associated claimed invention not having been novel or nonobvious, requiring clear and convincing evidence because there is a presumption of validity bestowed on an issued patent. Claims can also be found invalid through other means beyond anticipation or obviousness. Limitation: A limitation often refers to an adjective, adverb, or other phrase that modifies a claim element. However, many patent professionals use the term “limitation” interchangeably with the term “element”. Markman: A pretrial hearing in which a judge determines appropriate patent claim interpretations as a matter of law. Means-Plus-Function (MPF or M+F): A type of claim language which claims a structure only in terms of its functionality. In the US, means-plus-function claims are provided for in 35 USC 112, paragraph 6. Whereas this type of claim was often used to broadly encompass various structures, MPF claims are now construed much more narrowly, encompassing only those structures defined within the patent specification, along with equivalents with insubstantial difference. As a result, and due to the scope uncertainty of MPF claims, this type of claim has fallen more out of use in recent years. Also, while claim construction is a question of law, a determination of the scope of equivalents under 35 USC 112, paragraph 6 is a question of fact (therefore requiring a jury decision). Non-obviousness: A patentability requirement which mandates that a claimed invention must not be obvious in that a person having ordinary skill in the art would not know how to solve the problem for which the claimed invention is provided by using the same solution. This requirement is of course applied inconsistently and is normally the most difficult to apply or defend against, and there are and have been many different factors and tests applied to determine nonobviousness (e.g., “Graham factors”, “Teaching-Suggestion-Motivation” (TSM), etc.). Novelty: A patentability requirement which mandates that a claimed invention must not have been known to the public before the patent’s priority date (there are some specific date exceptions). Otherwise, the claimed invention is anticipated if one prior art reference or event discloses all the claim elements and limitations and enables a person having ordinary skill in the art to make and use the claimed invention. Preamble: An introductory statement for a patent claim that indicates the type of claim (or statutory class) and that names the product or process claimed. Prior art: Information which was publicly available in any form before a specific date that might be of relevance to the originality (novelty and nonobviousness) of a claim. Prosecution history (file history, file wrapper): Patent prosecution is the interaction between a patent applicant and a patent office with regard to a patent or patent application, and the prosecution history is the collection of these interactions between the applicant (or its representatives) and the office. For the USPTO, the prosecution histories for patents and patent applications is available for retrieval and review through PAIR. 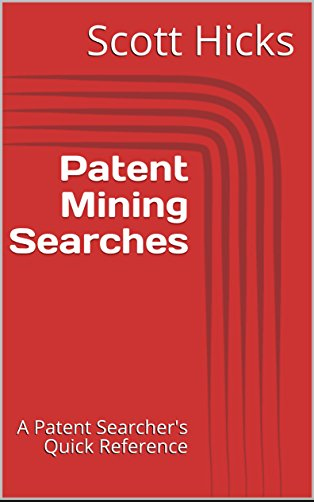 Public PAIR provides access to patent histories for published patent documents (usually after 18 months following the priority date), and Private PAIR additionally provides access to prosecution histories for those patent documents that are currently unpublished. Subject matter eligibility: Claimed subject matter is eligible or ineligible to be patented based upon the type of subject matter claimed, independent of requirements pertaining to novelty and non-obviousness. Certain types of subject matter are ineligible for patent protection in the US such as literary works, compilations of data, music compositions, legal documents, forms of energy and signals, natural phenomena, mental processes, and abstract intellectual concepts. Transition: A transitional word or phrase between the claim preamble and the claim body. Usually this word is “comprises” or “comprising”. Transitory signal: Subject matter that is ineligible for patent protection according to the Federal Circuit In re Nuijten (2007) ruling which concluded that articles of manufacture do not include intangible, incorporeal, transitory entities (which the court indicated that signals are). Use / Infringement: A product or process is read upon by a patented claim. Written description: Portion of a patent specification which describes, among other things, inventive embodiments. Claim elements and limitations need to be disclosed in the written description in order to be allowed.